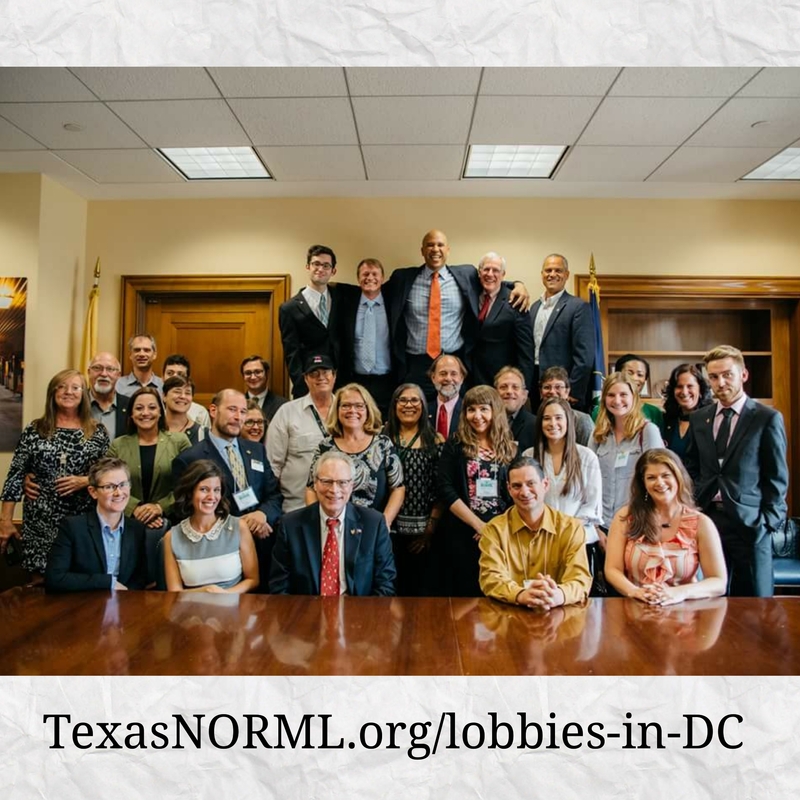 Texas NORML Lobbies in D.C. 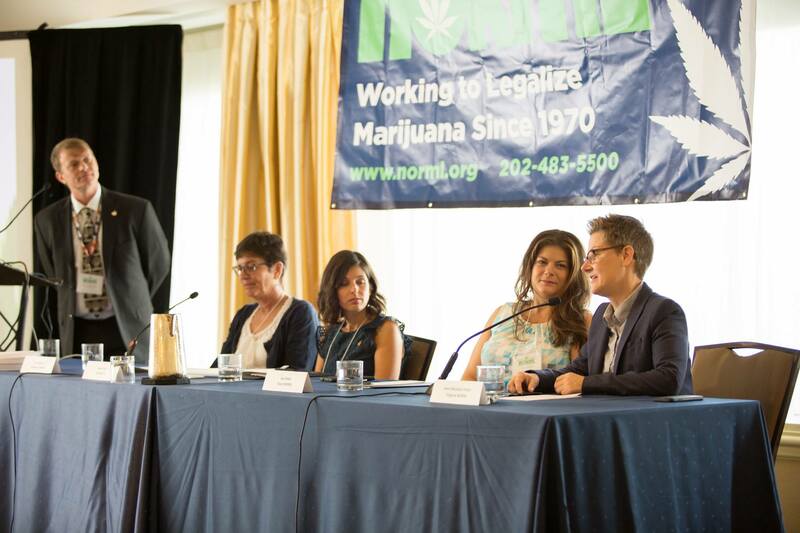 I had the opportunity to participate in National NORML’s Conference and Lobby Day in DC this month. It was an amazing amount of fun, we talked a lot of policy and I met some wonderful people. I was able to participate in the “Putting the Grassroots in Activism” panel. 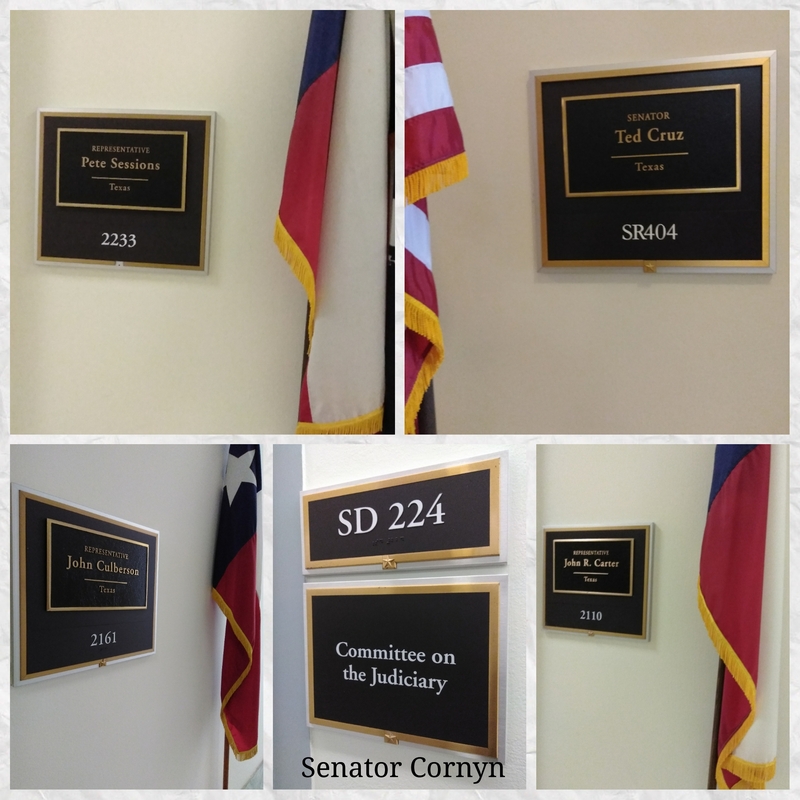 However, the most impactful part for me was making visits to Texas legislator’s offices. I was able to speak with staffers in Senator Cruz, Senator Cornyn, Congressman John Carter, Congressman Pete Session and Congressman John Culberson. I wanted to share with you how these meetings went. This is how I was greeted in every office. I was not surprised, though some of my colleagues there for the Lobby Day were. I pivoted back to the issue I was there to discuss, patient access in Texas. I had to pivot multiple times for them to catch on that I was there to talk about an EXISTING program in Texas. I reminded them that Governor Abbott used to be Attorney General of Texas, where he often sued the federal government for infringing on our state rights. The Governor held a signing ceremony for TCUP, the Department of Public Safety (DPS) has implemented regulations and the first license has officially been awarded. 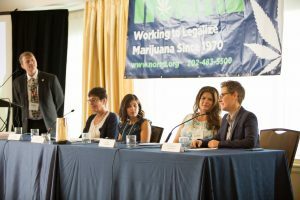 Since the Department of Justice (DOJ) has threatened states with medical cannabis programs, many Texans are concerned with the potential for federal overreach. In many cases, the Governor had supported these federal legislator’s campaigns. So I closed by asking them if they are willing to support our state right to our state sanctioned program. To say they were put of kilter by this information, would be to undersell their reaction. It was wonderful to see it dawn on them that, in fact, their offices are stakeholders in the bills that I was informing them about. 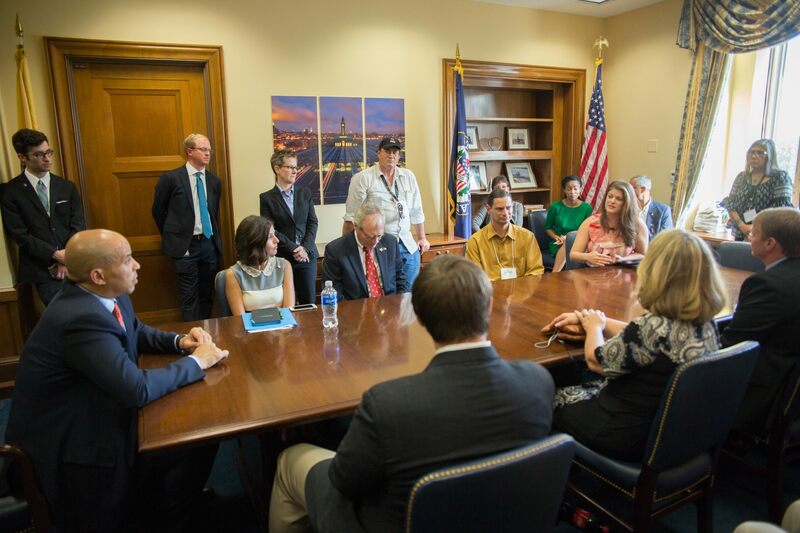 I have often been disappointed in how limited our TCUP is but these office visits allowed me to use the program to help open the minds and hearts of our federal legislators. One step at a time, deconstructing the prohibition that we have had to endure as a country. Jax Finkel speaking to Senator Booker on the importance of advancing the frontline of reform. I was able to end the day with a visit to Senator Cory Booker’s office with 25 other chapter leaders. We discussed his new legislation – one of the most comprehensive bill to be authored which would remove cannabis from the Controlled Substances Act, offer expungement, allow individuals currently serving time in federal prison for marijuana-related violations to petition the court for resentencing. Fortunately, I was able to sit at the table with him to tell him directly why this legislation is so important to those of us still living in prohibition. I shared the high numbers of Texans still facing arrest, about medical refugees leaving for access and retold the story of a child who was taken from her parent for using cannabis for their seizures and was then shaken to death by her foster parent. These are the reasons that we will continue to fight in Texas until none of us are chained. But we need your support to do so. Please become a member, make a donation and get involved with our work today!